Julie Watson is an assistant professor for the Master of Occupational Therapy program. 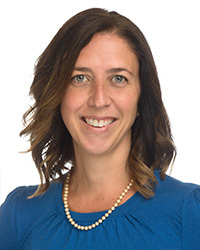 Her clinical experience includes positions in outpatient and home health settings serving pediatric, adult, and geriatric populations, including Brooks Rehabilitation and Therapeutic Learning Center located in St. Augustine, Florida. She also formerly served as an adjunct faculty member at St. Johns River State College. Watson serves as the North East Florida Regional Representative for the Florida Occupational Therapy Association. She has presented research at the American Occupational Therapy Association, Assistive Technology Industry Association, Florida Occupational Therapy Association, and Western Association of Colleges professional conferences. She consults for several community organizations on a volunteer basis to provide home modifications for elderly and underserved populations. She is active with the Council on Aging, St. Johns County Falls Coalition, and the St. Johns Housing Partnership. Watson is currently working with Brooks Rehabilitation as the Residency Coordinator for the OT Neurologic Residency Program.